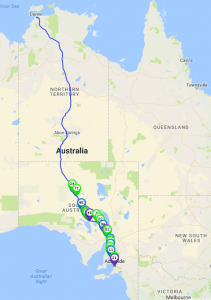 Many of the world’s best solar car teams are on track to reach Adelaide today, 4-5 days after they started their journey in Darwin on Monday, and 2+ years after commencing their initial planning and engineering design following the 2015 competition. 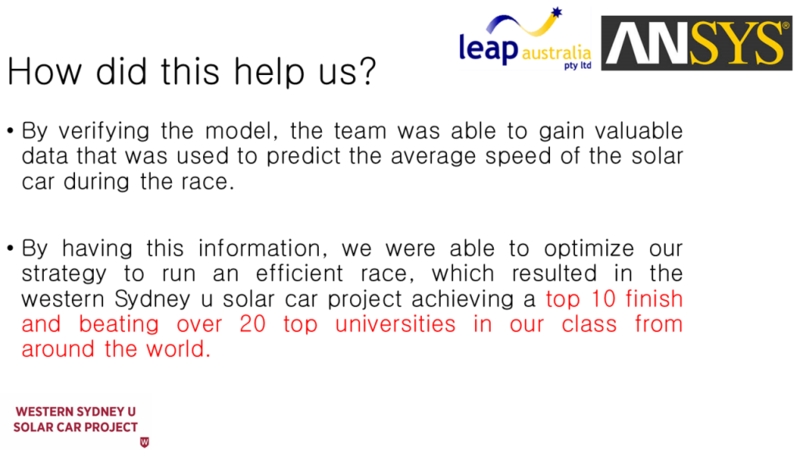 Challenger Class: Nuna9, Nuon Solar Team from Delft University who have continued their successful record in the Challenger Class (once again sponsored by ANSYS!) 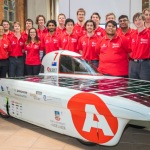 and claimed their seventh title - crossing the Official Finish Line in Victoria Square Adelaide, first in 2017 and after achieving an impressive average speed of 81.2 km/hr over the journey from Darwin to Adelaide!! 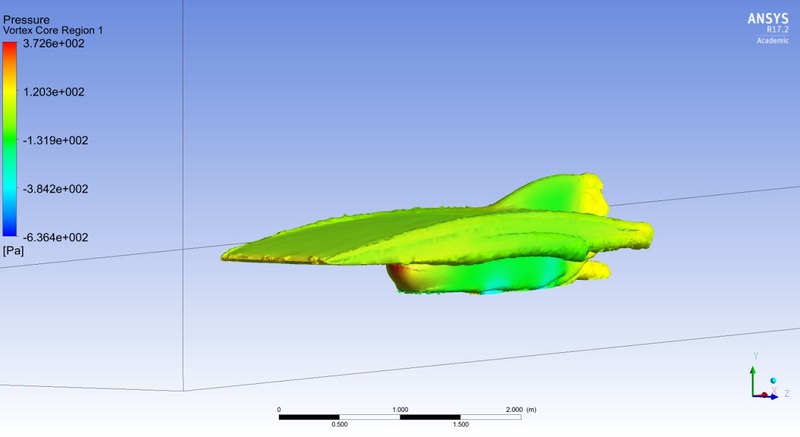 Cruiser Class: At this stage, Stella Vie, Solar Team Eindhoven also look set to build upon their history of success in the Cruiser Class (also again sponsored by ANSYS), with a massive efficiency score of 80 (compared to 34.6 for the next best team in this class)! 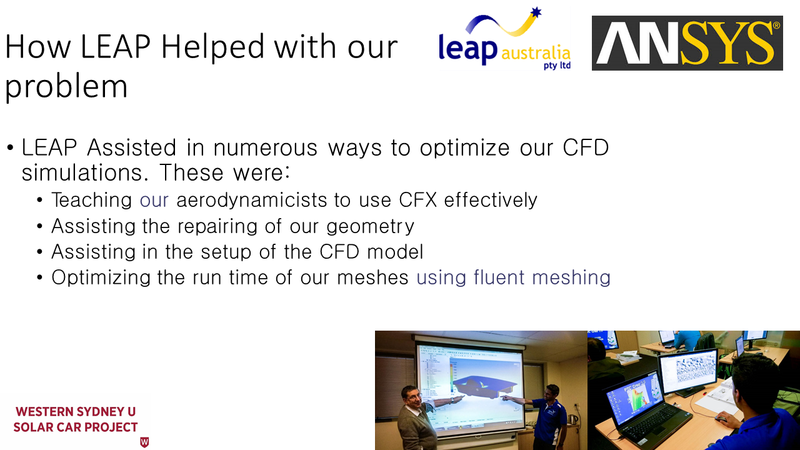 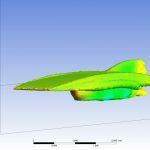 Read more about the engineering simulation background to their victory in 2013 from the ANSYS Blog. 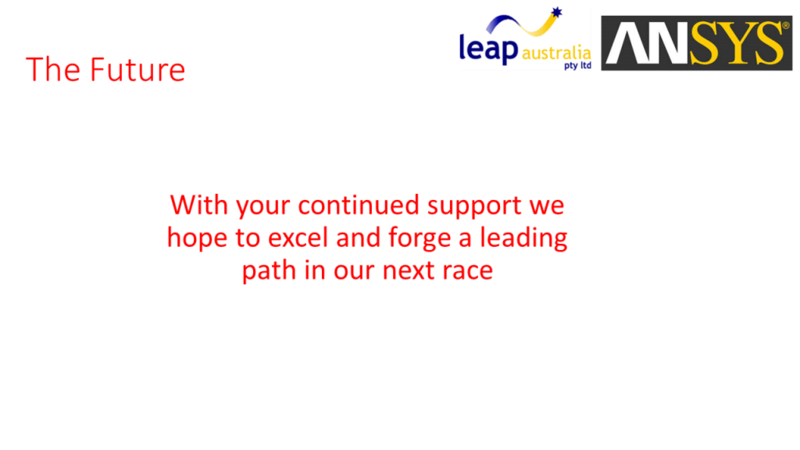 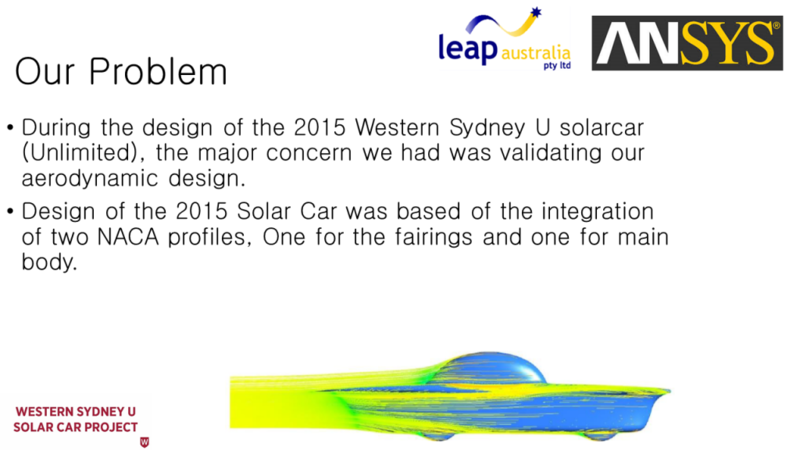 LEAP would also like to extend our congratulations to all the Australian teams who have embarked on this adventure in the 2017 World Solar Challenge: especially the teams we have been closely involved with below. 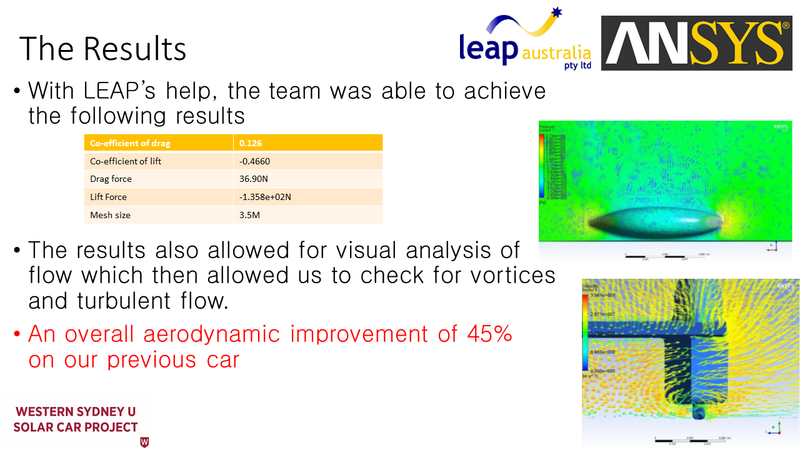 Amidst the confetti at the finishing line, it can be easy to lose sight of all the hard work and engineering effort that goes into this competition, so below we have included some interesting details of simulation work that is undertaken by the teams. 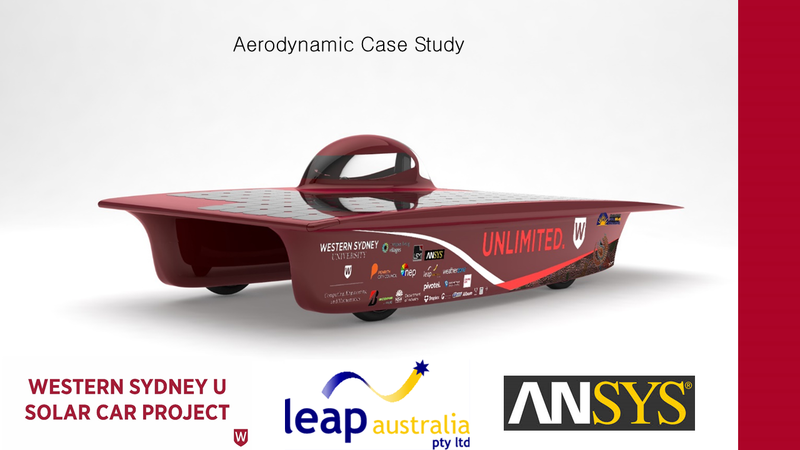 As an example, in just their 3rd event, the Western Sydney Uni team is currently on track in 2017 to deliver its best ever result – well done to everyone involved and we hope you all enjoy a well-deserved beer (or a bottle or two of Mt Bera wine) in Adelaide tonight!